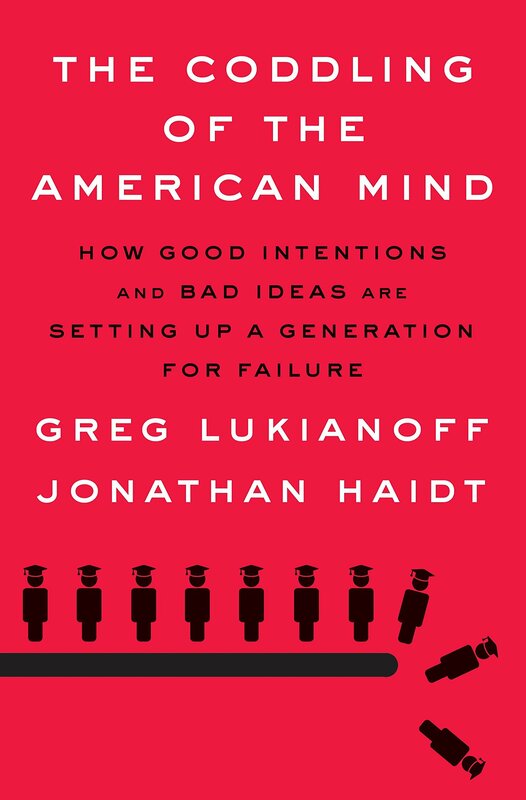 I recently finished a book called The Coddling of the American Mind: How Good Intentions and Bad Ideas Are Setting Up a Generation for Failure, by Greg Lukianoff and Jonathan Haidt. It’s a fantastic book, spawned by an article the two wrote for The Atlantic back in 2015. This isn’t a book review, so I won’t provide a full accounting of the ideas presented within it. Suffice it to say that if you believe there is nothing discomforting about the new generation arriving on college campuses within recent years, this book will shake you from your slumber. I bring this book up because we can — and should — implement its lessons into our pro-vegan activism. “What doesn’t kill you makes you weaker,” or the idea that exposure to offensive or difficult ideas is traumatic. “Always trust your feelings,” or the notion that feeling upset by an idea is a reason to discount it. “Us versus them,” or homogenous tribal thinking that leads people to shame those whose views fall outside that of their group. I want to focus on the first one. The authors elegantly introduce this idea by way of anecdote, describing Haidt’s experience navigating the “safetyism” of preschools when his child first enrolled in one. He was told that, because some of the children may have peanut allergies, nothing containing the verboten ingredient would be allowed in the classroom. It occurred to Haidt that this only made sense if any of the children actually had a peanut allergy. His suggestion that they temper their food-policing based on allergies actually present wasn’t appreciated. The idea was to protect the children, and to question that was preposterous. Haidt was also struck by the backwardness of such a policy: studies have shown that a lack of exposure to foods like peanuts from a young age can contribute to the development of an allergy later on. Repeated exposure shows the immune system that the item is not a threat, and (ideally) it calibrates accordingly. Instead, the culture of safetyism was, albeit in a minor way, harming the children these parents intend to protect. Haidt and Lukianoff trace such safetyism — protection of children at all costs — to the rise of intolerance for dissenting views that is now prevalent on college campuses. The generation of students that began showing up on college campuses circa 2014 is quite different from the generations before them, the authors argue. They are more anxious and depressed. They’re more glued to social media. They believe words can be violent, and they feel entitled to never have to argue against ideas they find offensive. As a result — like a faulty smoke alarm triggered by steam — they are ill-equipped to handle legitimate arguments that challenge their views. What doesn’t kill you makes you weaker, they think. We must be vigilant against such tendencies if we want veganism to spread. We must be anti-fragile. Some of the most vociferous vegans today were meat-heads who harassed animal rights activists just a few months back. More importantly, we have to know why people aren’t vegan. We have to listen to their arguments and take them seriously, even if we know they’re absolutely full of it. If we don’t listen to them, we don’t have the chance to show them why they’re wrong. At the same time, we don’t have the chance to truly test our arguments unless we deploy them against people who do not agree with their conclusions. In the context of social media, exposing ourselves to arguments made by anti-vegans gives us an opportunity to respond, with unknowable numbers of silent observers potentially swayed by our rebuttals. Without our input, those same bystanders may not know a reasoned rebuttal to that argument is possible. If we’re triggered by hunters sending us photos of their recent kills, or of characters eating raw meat right in our faces, they think they’ve won the argument. If we remain measured and reasoned, and actually put forth simple, well-tested arguments, maintaining focus despite their gallivanting, we show that we’re not afraid to confront their points. We show that we’re confident that we’re right. Because we are. Next Are Pescatarians (and others) Allies?